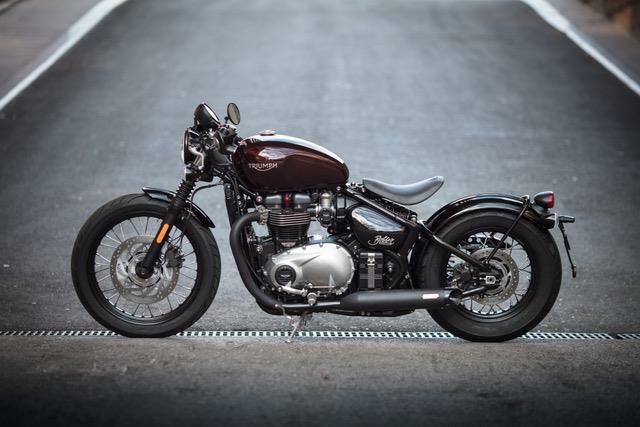 Triumph has confirmed their new Bonneville Bobber will cost £10,500 when it hits dealers in February. 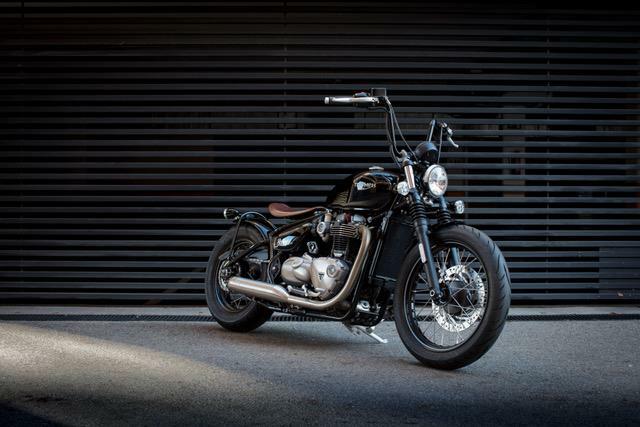 Includes clip-on bars, blacked-out silencers, headers, intake covers, headlamp bezel leather seat, ‘gummy’ grips, short front mudguard and cosmetic goodies. Includes: ‘Ape hanger’ bars, brushed stainless silencers, short front mudguard, leather seat, ‘gummy’ grips, swingarm bag and cosmetic goodies.